Besides the horrific stats I’ve read about in the newspapers, my interest in LvA was motivated by the memory of an unfortunate incident that took place a few years ago when a young boy in Grade 9, at a school I used to volunteer at, kicked his fellow girl classmate in the mouth because, and I quote: “I didn’t like what she said to me, she’s a girl and should be put in her place”. This poor girl was bleeding from her mouth while the boy showed no remorse. It is such incidents that reminded me of how deep-rooted abuse is and how it affects children raised in violent environments and how the violence becomes a vicious cycle and that things needed to change. That is why I decided to volunteer as a fundraiser. I want to make a difference, I want a safer environment for the most vulnerable and I want VIOLENCE TO STOP. 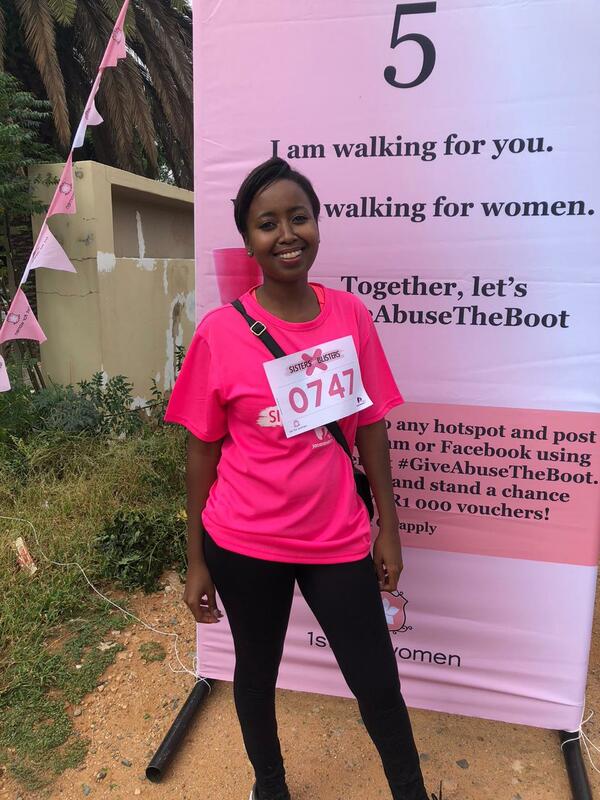 Rea rallied her friends and family to support her in quest to raise funds to support LvA’s work to build a violence-free society and raised over R2,200 in connection with the 2018 MTN Walk the Talk with 702. She also participated in the 2018 Sisters with Blisters walk to raise funds for LvA.